Youtuber ChristianAdamG proved his point: misinformation is a dangerous tool in 2018 and beyond. 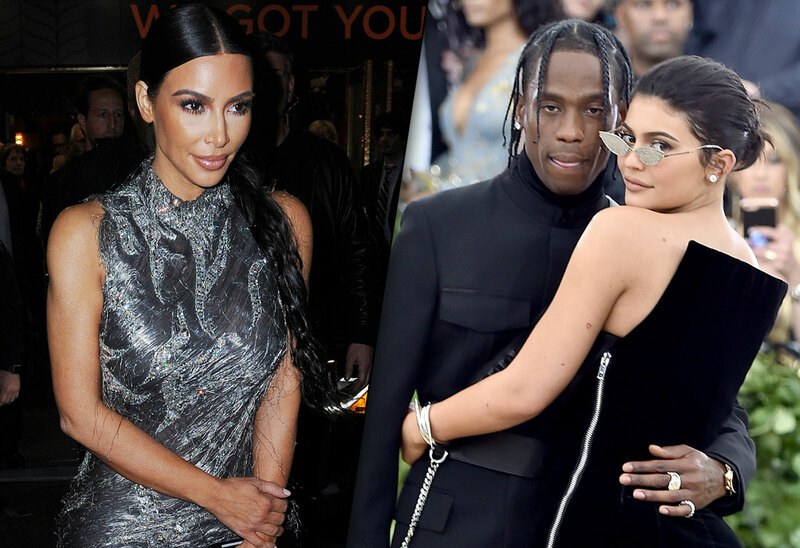 Kim Kardashian has come to the defense of her family in the wake of a public ploy to infiltrate Kylie’s relationship with Travis Scott from the inside out. The Kardashian heiress routinely benefits from the media at such a high level, that it’s easy for her to cut her losses. But when it comes to the potential break up of an upstart family, especially one assigned to her in a figurative “Godmother” role, Kim K draws the line. This is what she had to say in response to YouTuber ChristianAdamG, who admitted overnight to doctoring photos of Travis Scott to make it seem like he was kissing another woman, and thus cheating on Kylie Jenner. “I hate that I am bringing attention to this but this is absolutely disgusting that you would find this funny to mess with Travis & Kylie who just started a family together. This is really damaging to relationships, families and is just so wrong,” tweeted Kim. Kim K touched on a few of the transgressive elements in ChristianAdamG photoshop experiment, namely the damage done to relationships and families through this invasive maneuvers. As he claimed victory over the celebrity fandom, ChristianAdamG showed the World how easy it is to misinform the masses for seconds at a time – which only goes to show how dangerous misinformation can be in the wrong hands. Let that be an eye-opener.